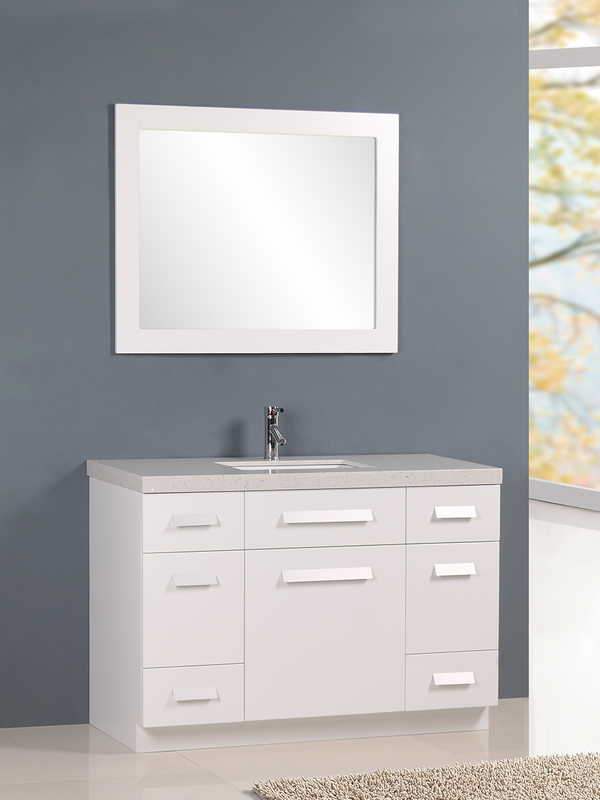 With its beautiful White finished cabinet and Quartz countertop, the Moscony Single Bath Vanity can completely transform the aesthetics of your bathroom. Made from solid oak and installed with elements like soft-closing hinges and beautiful Satin Nickel hardware, this vanity is made to last. 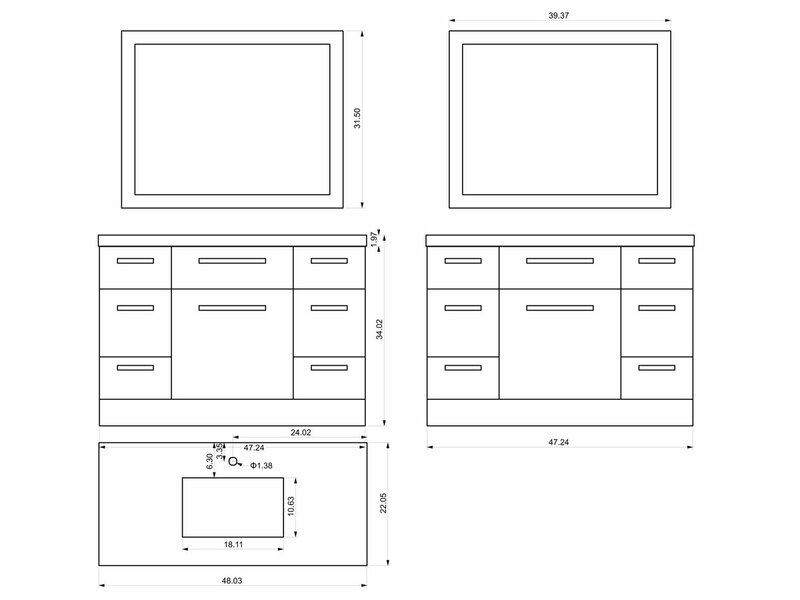 Four fully-functional drawers and a single-door cabinet offers tons of storage space. Its rectangular sink is made from porcelain and features an undermount sink. A matching mirror is also included with this vanity.